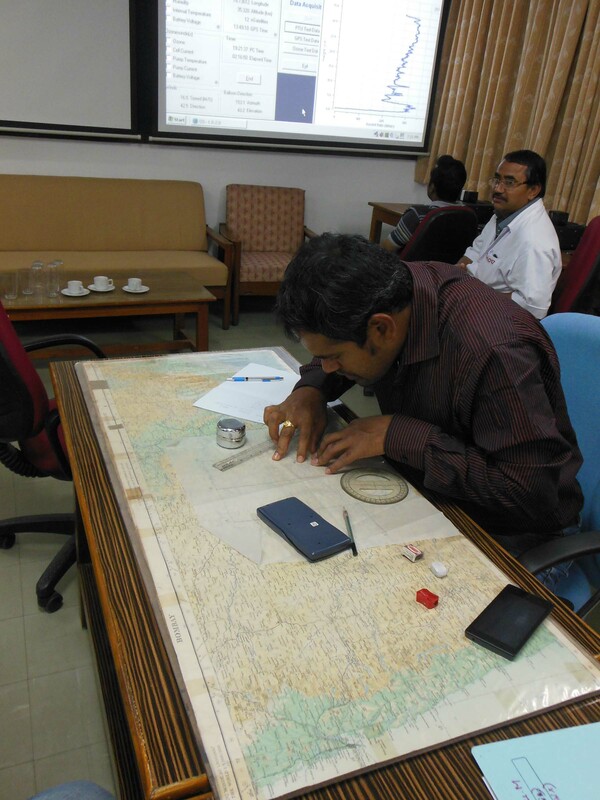 At the launch site, TIFR Balloon Facility, Hyderabad. The Balloon Facility of the Tata Institute of Fundamental Research successfully launched a balloon flight carrying three lab rats in a space capsule upto an altitude about three times that of Mt. Everest. 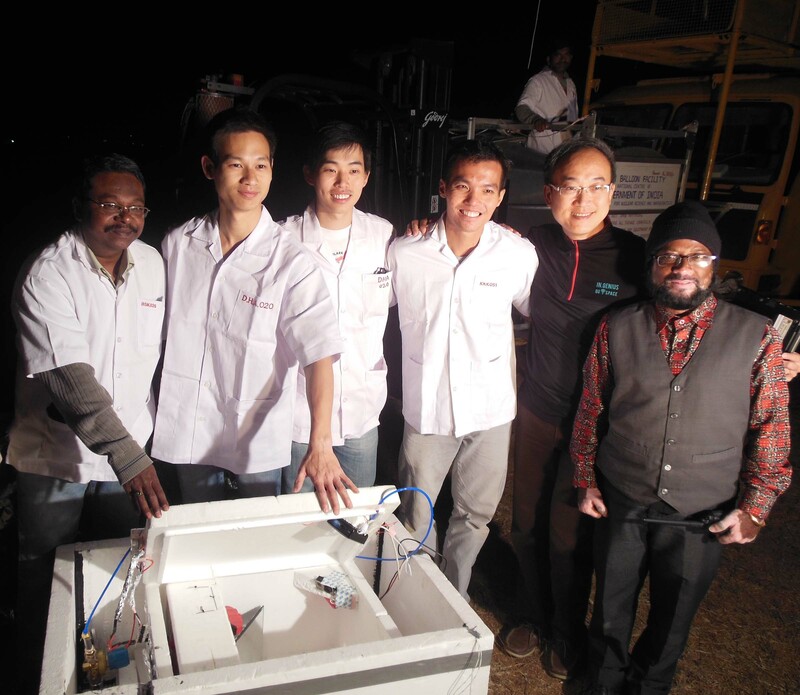 Conducting this experiment for a scientific collaboration with a Singapore based space technology firm, this marks the first successful experiment of its kind in India indicating a capacity to carry humans into space using scientific balloons. 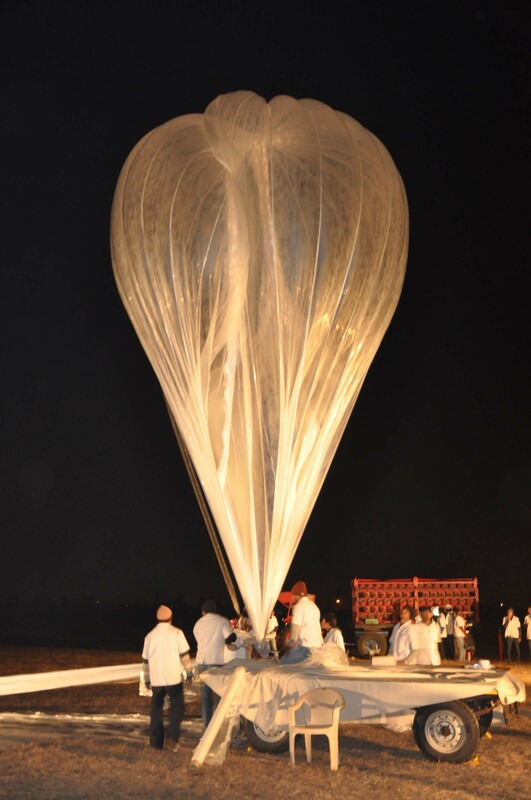 The 38,211 m3 balloon was designed, fabricated and launched at the TIFR Balloon Facility in Hyderabad by experienced scientists and engineers. 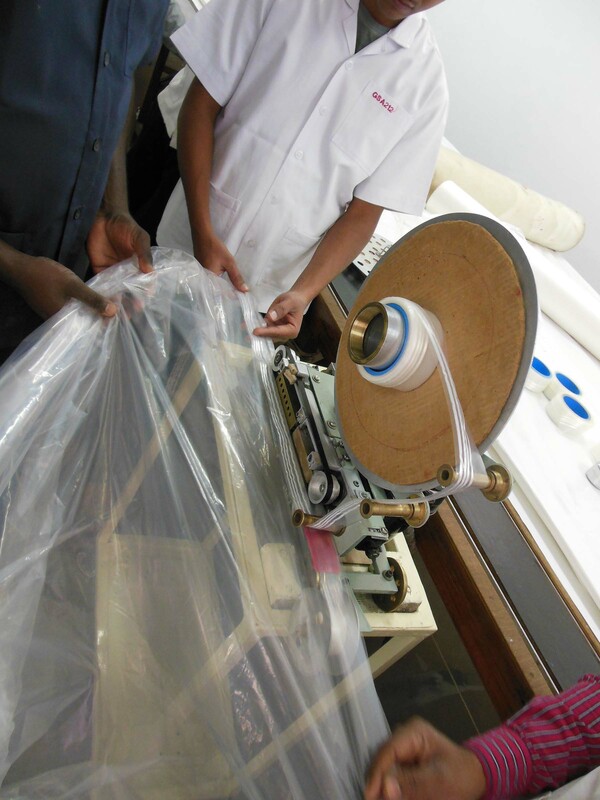 This research facility designs and develops scientific balloons that are used for various applications. Mr. Lim Seng founder of the Singapore tech firm InGenius, said “TIFR’s sterling safety records and 45 years of ballooning experience ensured the success of this project”. This scientific achievement was accomplished at 5.30am on March 14th 2015. Stable conditions in a pressurised capsule ensured the animals wellbeing despite the extreme atmospheric conditions at such great heights. The rats were unharmed and in good health when they returned to the ground. The total flight time of 110 minutes took the animals upto a height of 29.5km above the Earth’s surface. 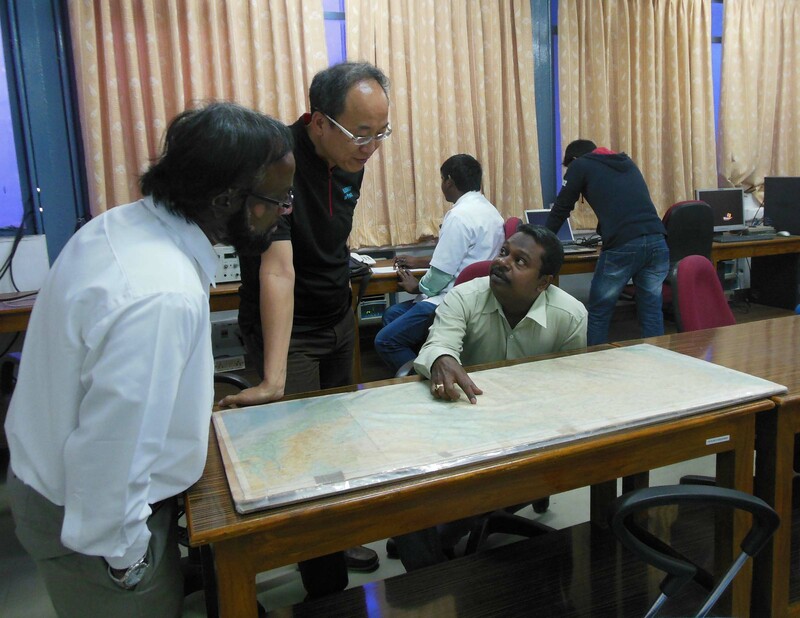 D Anand, Lim Seng, Suneel Kumar Buduru and Sakram Korra in the control room. Professor Devendra Ojha, Chairperson of the Balloon Facility, and senior scientist at TIFR’s Department of Astronomy and Astrophysics, hails this as an achievement for near-space science. He says "the parameters, like oxygen levels, temperature and pressure, obtained during this balloon flight, will help in designing space capsules with a life support system for carrying human beings into near-space in the future, using TIFR balloons"
TIFR has over the last several decades, from the time of Dr. Homi Bhabha’s explorations of the atmosphere, developed significant experience in scientific ballooning. 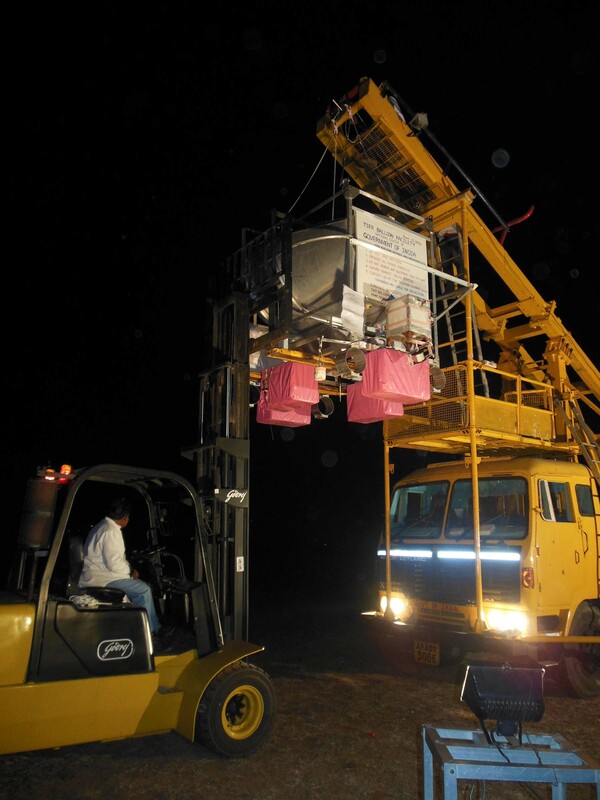 A unique feature of TIFR’s Balloon Facility is that is has all aspects of scientific ballooning under one roof, that include balloon design and fabrication, payload integration with telemetry, telecommand, and also balloon launch, tracking, data collection, flight control and payload recovery. At the balloon fabrication facility, TIFR Balloon Facility, Hyderabad.